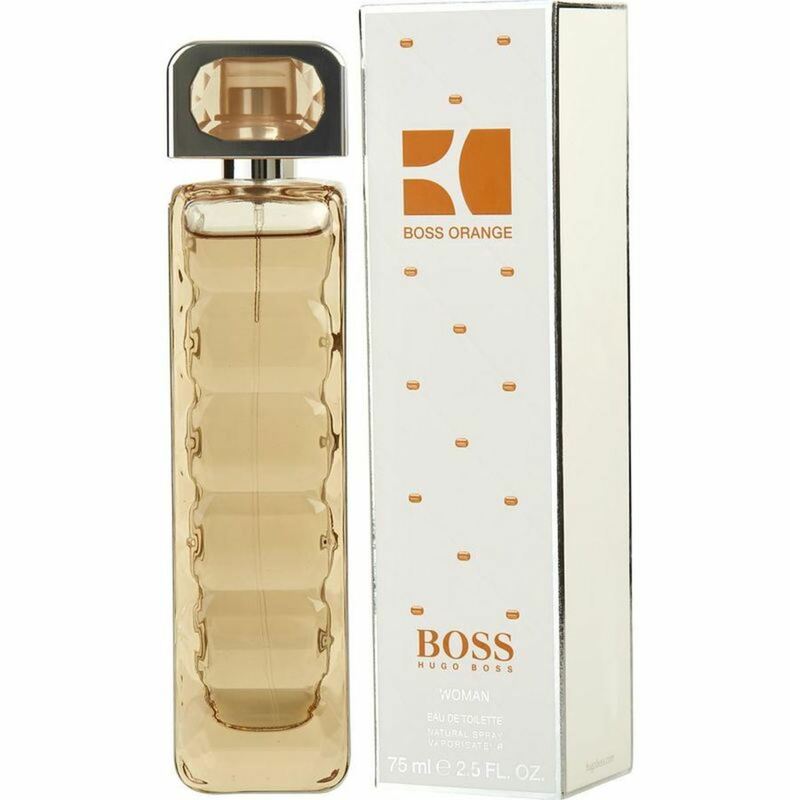 Boss Orange, a women's eau de toilette created in 2009 by Hugo Boss, is the fragrant expression of the modern woman. Energetic and sophisticated, this unmistakable scent captures your free-spirited approach to life. The experience begins with top notes of sweet apple, which reflect your natural beauty and enhance your unapologetic femininity. Heart notes of white flowers and orange blossom add lightness and gentle nuance, while base notes of creamy vanilla create a luxurious warmth that runs through the fragrance. WatchMaxx.com sells only 100% authentic, brand new merchandise, complete with the manufacturer's packaging and a minimum 2-year guarantee with service or repair by WatchMaxx. WatchMaxx offers products from the world's finest and most respected brands, such as this Hugo Boss Perfume Boss Orange Women EDT Spray 2.5 oz Women's Fragrance 737052238128.